Free Buddha vector image. Fun and colorful illustration of an Eastern deity. Smiling Buddha statue. 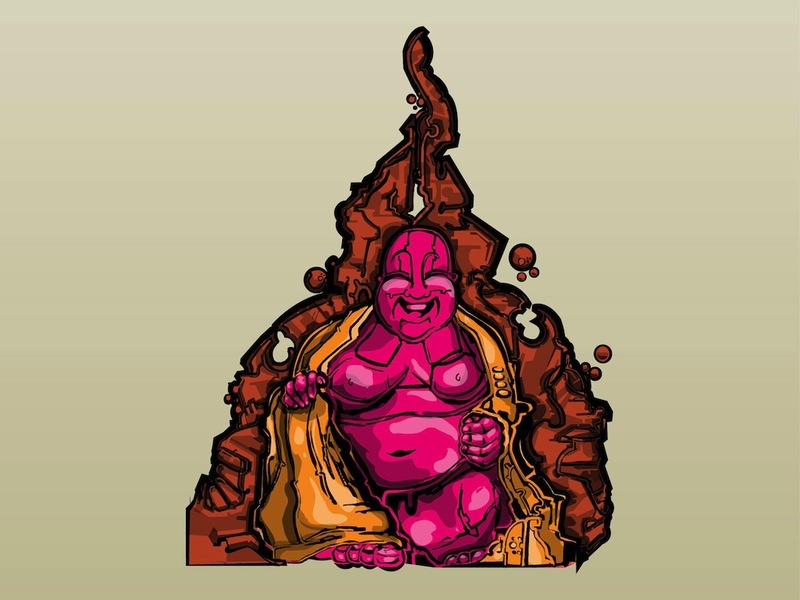 Bright colors used on the skin and clothes of the god, big smile on his face and abstract rock design behind him. Free vector illustration for all your religion, faith, gods, deities, Buddhism and karma projects. Tags: Asia, Buddhism, Deity, God, Laughing, Meditation Happiness, Religion, Smile.